De Hart Plumbing Heating & Cooling are your local leaders in reverse osmosis drinking water systems. Serving Junction City, Manhattan, and Topeka areas of Kansas. 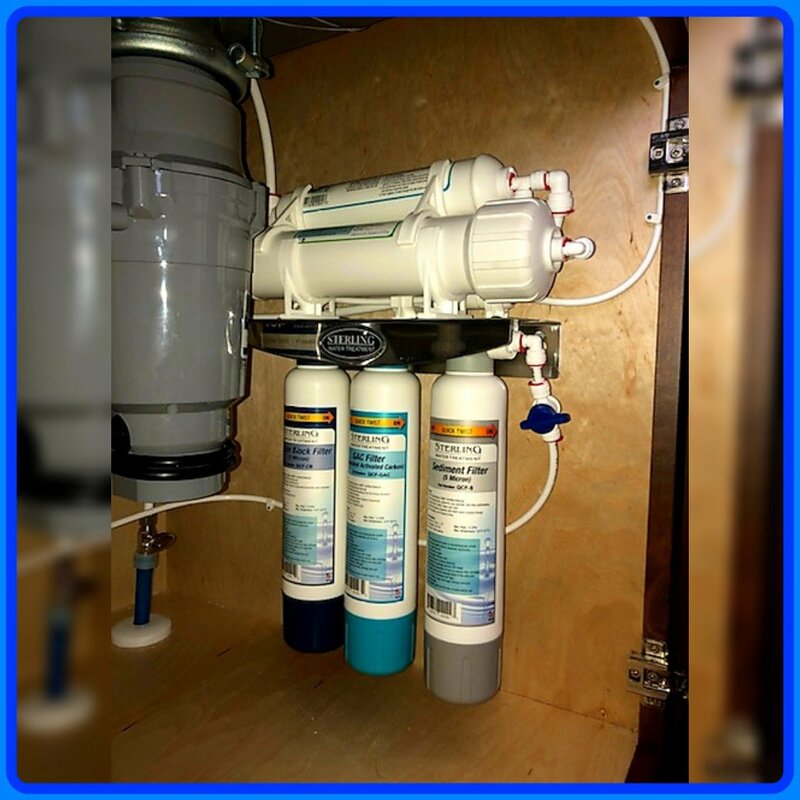 Reverse Osmosis Drinking Water Filtration System helps provide cleaner, better tasting water through reverse osmosis filtration. 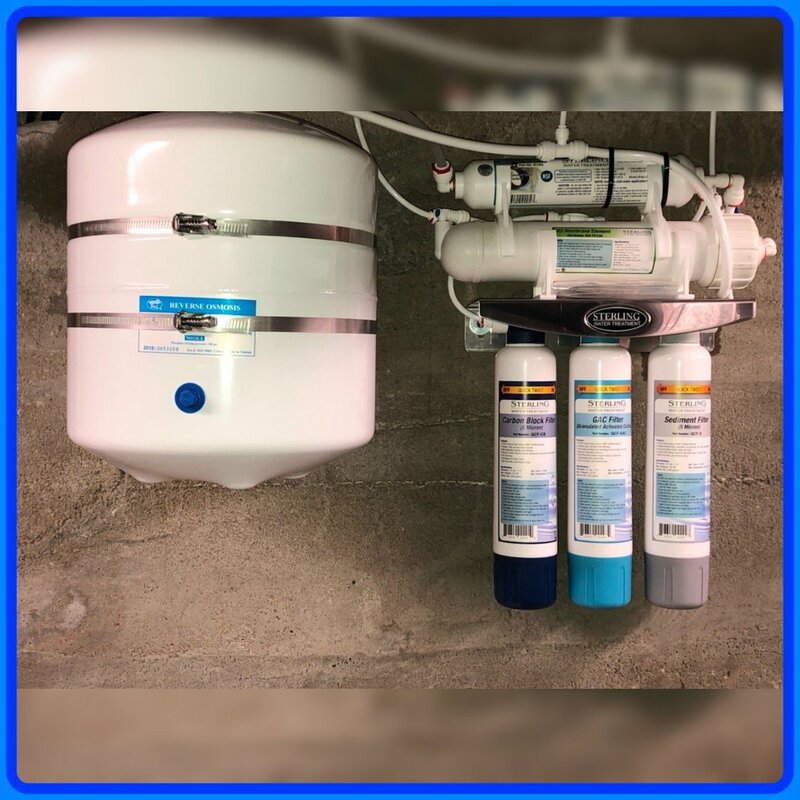 We offer 5-stage filtration, incorporating separate sediment and chlorine taste & odor filters for excellent membrane module protection, a sanitary, encapsulated reverse osmosis membrane, and carbon block post-filter for superior flow from a dedicated faucet. The system is powered by residential line pressure, no electricity required. The system helps conserve water, shutting down when the storage tank is full and turning back on to refill the tank. Replacement filters are easy to change – twist on, twist off, no mess. Having clean and clear drinking water in your home is both a pleasure and a reassurance that you’re giving your family the best. With reverse osmosis filtration you can provide filtered drinking water for every member of your family. Having the comfort of knowing you and your family are drinking safe, clean and fresh reverse osmosis filtered water is priceless. Call us today or request a service online for your free water quality consultation. The system is powered by residential line pressure, no electricity required. The system helps conserve water, shutting down when the storage tank is full and turning back on to refill the tank. Replacement filters are easy to change – twist on, twist off, no mess. 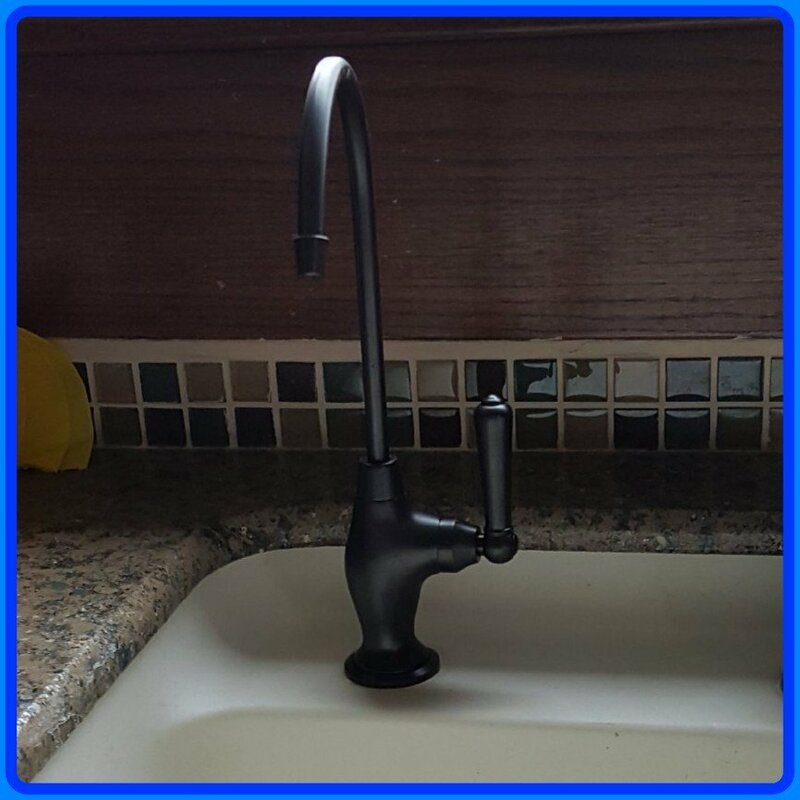 Installs under the sink for drinking and hydration, hot and cold beverages, cooking and food preparation, pet hydration and aquatic aquariums. Granulated activated carbon pre-filter to help protect membrane. Sanitary Quick Change Design allows for fast and easy replacement filter change-outs. 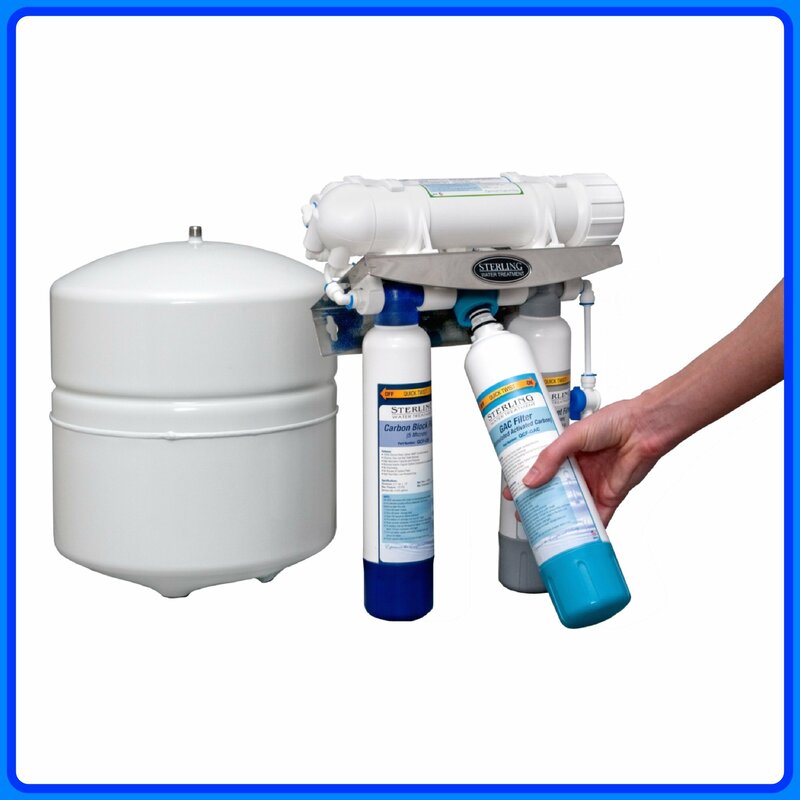 System designed for both chlorinated or non-chlorinated municipal or well systems. Helps conserve water, shutting down when storage tank is full. Automatically turns on to refill tank.